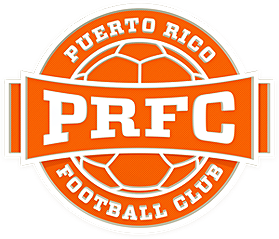 Joseph “Jackie” Marrero García comes from a family that has dedicated their entire lives to football, so it was inevitable that he would become one of the most promising stars of Puerto Rican football and the first signing of Puerto Rico FC. His success is due for the most part to his mother Brenda García and to Carlos García, whom never allowed him to veer off his path to become a professional football player and counseled him every step of the way. The young attacking midfielder is 23 years old and is a product of Academia Quintana, an academy with a rich history that carries the mission of helping at-risk youth through football. Jackie is a very humble young man who is always looking to help others. To the point that if he wasn’t a footballer, he would work at a home for the elderly because he feels his company and joy would help its residents. Off the field, Jackie has the same interests as his peers. For example, he loves music. Especially reggeaton, a genre he is trying to educate his teammates on and to which he has converted a couple of them. He is also tasked on teaching them how to dance salsa, but this could prove to be an impossible task. Another of his pastimes is simply watching football. His favorite club is FC Barcelona (insert groans and moans from the Merengues), club where Ronaldinho, his favorite player, played. His favorite current player is David “El Chino” Silva from Manchester City and Spain’s National Team. 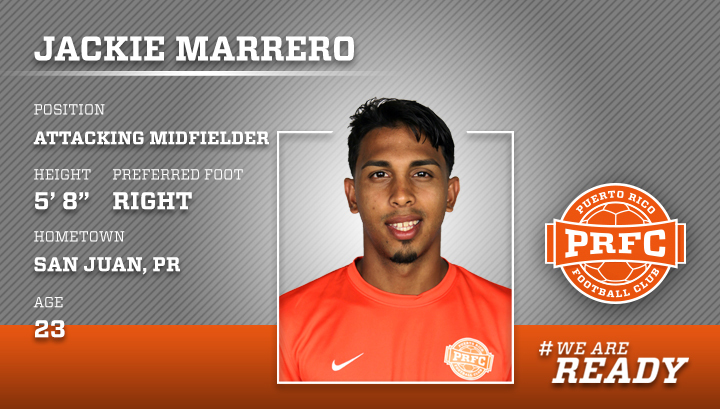 On game day Marrero relaxes, listens to music and prays for strength, a good match and the memory of his mother, who was a champion for youth soccer and the development of the sport in unprivileged neighborhoods. To honor her, he will wear her last name (García) on his jersey from this season forward.